An external grader is a service that receives learner responses to a problem, processes those responses, and returns feedback and a problem grade to the edX platform. You build and deploy an external grader separately from the edX platform. An external grader is particularly useful for software programming courses where learners are asked to submit complex code. The grader can run tests that you define on that code and return results to a learner. For example, you define a problem that requires learners to submit Python code, and create a set of tests that an external grader can run to verify the submissions. When a learner enters Python code for the problem and selects Submit, the code is sent to the grader for testing. If the code passes all tests, the grader returns the score and a string indicating that the solution is correct. The external grader can return a string with results, which the learner can see by selecting See full output. This can be particularly useful when the solution is not correct and you want to return information about the failed tests. An example follows. The edX platform communicates with your external grader through XQueue. XQueue provides learners’ input to the grader; it then receives results from the grader and returns them to learners. Submissions are collected in XQueue, where they remain until the grader actively retrieves, or pulls, the next submission from the queue for grading. The external grader polls the XQueue through a RESTful interface at a regular interval. When the external grader retrieves a submission, it runs the tests on it, then pushes the response back to XQueue through the RESTful interface. XQueue then delivers the response to the edX learning management system. The following repositories are examples of external graders that use Pull mode. The following steps describe the complete process of an external grader evaluating a problem. The learner either enters code or attaches a file for a problem, then selects Submit. The external grader pulls the code from XQueue. The external grader runs the tests that you created on the code. The external grader returns the grade for the submission, as well as any results in a string, to XQueue. The XQueue delivers the results to the edX Learning Management System. The learner sees the problem results and the grade. Your course will use a specific XQueue name. You use this name when you create problems in Studio. EdX partners who are using external graders should use the base URL https://xqueue.edx.org as the XQueue name. If you are an edX partner, contact your edX partner manager for more information. Because edX hosts many XQueues for different courses, you must use the exact XQueue name in your problems, as described in Create a Code Response Problem. The learner submission sent from XQueue to the grader, and the response sent from the grader to XQueue, are JSON objects, as described below. XQueue does not send the the learner ID to the external grader. Your grader cannot access IDs or associate learner IDs with submissions. For the code for the XQueue interface, see the urls.py file in the edX XQueue repository. xqueue_header: A dictionary that contains information that is required for xqueue to link results to the corresponding submission. xqueue_files: A dictionary that contains a list of files that were submitted by the learner. The dictionary is structured such that the filename is the key and the location of the file is the value. xqueue_body: A dictionary that contains the actual submission as JSON. student_info: A dictionary that contains the following information about the student in relation to this submission. anonymous_student_id: A string that contains an anonymized identifier of the student. submission_time: A string that contains a timestamp with the time of submission (yyyymmddhhmmss). random_seed: An integer that contains the seed that was used to initialize the randomization script that may be attached to the problem. student_response: A string that contains the learner’s code submission. A learner can submit code by entering a string in the LMS or by attaching a file. grader_payload: An optional string that you can specify when you create the problem. For more information, see the section Create a Code Response Problem. After running tests and recording results for a submission, the grader must return information by posting a JSON response. The JSON string contains a value that indicates whether the submission was correct, the score, and any message the tests create. In the following example, the learner’s submission was correct, the score was 1, and the tests created a brief message. "msg": "<p>The code passed all tests.</p>"
The course team, not edX, is responsible for building and deploying the external grader. In addition to creating tests that are specific to the problems you use in your course, you must plan for the following requirements when you build an external grader. To validate your external grader and test a problem, you must view the component in the LMS, in a published unit. If you attempt to test a problem in Studio, the message “Error: No grader has been set up for this problem” displays. Your external grader must be able to scale to support the number of learners in your course. Keep in mind that submissions will likely come in spikes, not in an even flow. For example, you should expect the load to be much greater than average in the hours before an exam is due. Therefore, you should verify that the external grader can process submissions from a majority of learners in a short period of time. Learners submit code that executes directly on a server that you are responsible for. It is possible that a learner will submit malicious code. Your system must protect against this and ensure that the external grader runs only code that is relevant to the course problems. How you implement these protections depends on the programming language you are using and your deployment architecture. You must ensure that malicious code will not damage your server. After your course starts, many learners will submit code at any possible time, and expect to see results quickly. If your external grader is prone to failure or unexpected delays, the learner experience will be poor. Therefore, you must ensure that your grader has high availability and can recover from errors. Before your course starts, you must have a plan to immediately notify the team responsible for operating your grader, as well as edX operations, when the grader fails. In collaboration with edX, you must develop a procedure to quickly identify the cause of failure, which can be your grader or edX’s XQueue. Contact your edX partner manager for more information. If you know the grader will be unavailable at a certain time for maintenance, you should add a course update. You should test your grader thoroughly before your course starts. Be sure to test incorrect code as well as correct code to ensure that the grader responds with appropriate scores and messages. You create a code response problem in edX Studio by adding a blank advanced problem, and then editing the OLX for the problem definition in the advanced editor. For more information, see Working with Problem Components. Following is a basic example of the OLX definition of a problem that uses an external grader. Note the following details about the OLX definition. queuename: The value of the queuename attribute of the <coderesponse> element maps to an XQueue. Partners should contact their edX partner manager for more information. You must use this exact name in order for the problem to communicate with the correct XQueue. For edX partners, the base URL that graders must access is https://xqueue.edx.org. Input Type: In this example, the <textbox> element specifies the input type. When you use <textbox>, the learner enters code in a browser field when viewing the course unit. The other element you can use to specify the input type is <filesubmission>, which enables the learner to attach and submit a code file in the unit. <grader_payload>: You can use the <grader_payload> element to send information to the external grader in the form of a JSON object. 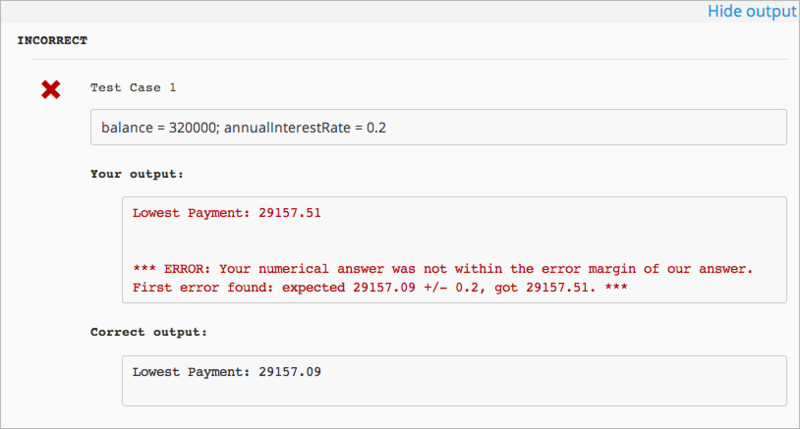 For example, you can use <grader_payload> to tell the grader which tests to run for this problem.